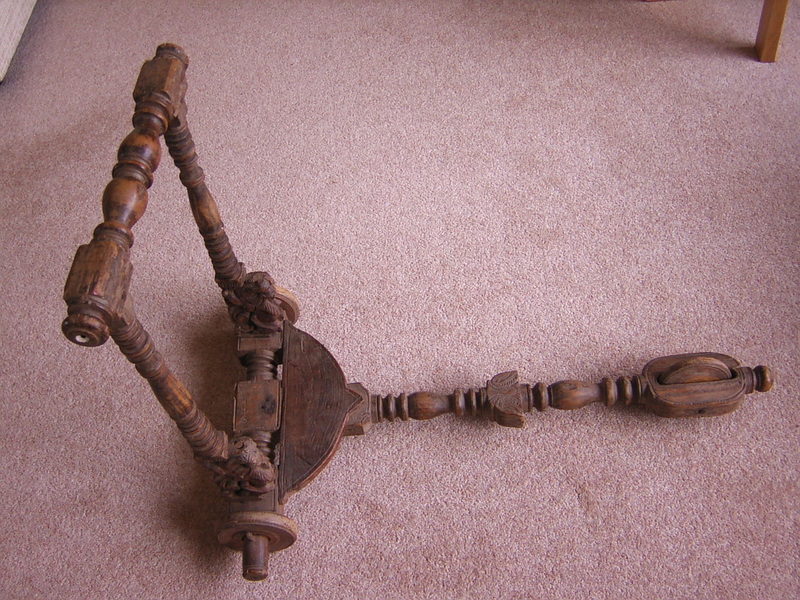 Chinese Hardwood Baby Walker/Scooter 18th/ 19th Century(?). Carved Oriental Foo Dog features. Wooden wheels. 48cm high 70 cm long Very unusual!